Others were less supportive of the undocumented with one man asking for them to be described as illegal rather than ‘undocumented’. FEAR AND UNCERTAINTY have been heightened among the undocumented Irish living in America since Trump came to power. 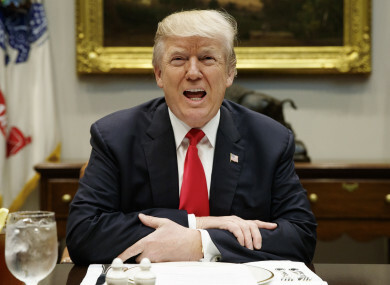 The US President regularly stated his plans to track down and deport illegal US residents when he became president and after his election success, undocumented Irish were warned to keep their heads down. US Immigration Attorney with USAVisaNow.net Caro Kinsella advised people to ‘remain silent or you’ll be gone very quickly’. 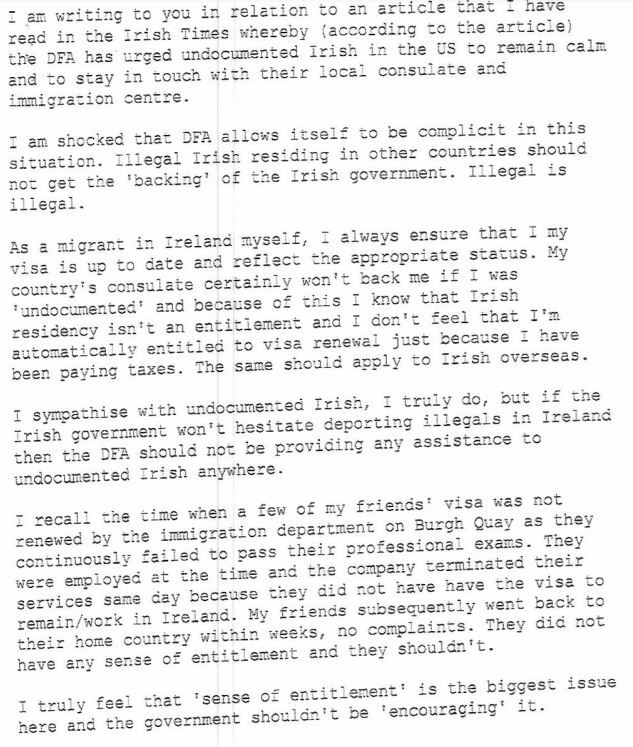 Some of the family members of the undocumented Irish have written to the Department of Foreign Affairs in the past year explaining the situation of their family members and asking what can be done. Information provided to TheJournal.ie through a Freedom of Information request show some of these letters. My sister, as well as I’m sure the other thousands of undocumented Irish in the States, are living in fear over there at the moment. “Is there any plans being made to meet with president-elect Mr Donald Trump to discuss over Irish who are living there illegally? Surely to God he won’t break up families who are law-abiding, working and paying taxes, etc. Another person asked for an update on how the government are currently pursuing this matter with the US. The letter also described how the woman in question works, pays taxes and has never been in trouble with the law. “President Barack Obama passed an executive bill two years ago, but this has been overturned by several states who made an appeal against his decision. The years are passing by and nothing positive is happening. Another letter about the plight of a family member said, “year after year we await news of immigration reform”. He also pointed out that highlighting the 50,000 undocumented Irish may jeopardise those who are waiting on visas to the US. “Dear Minister, could you please stop describing the 50,000 Irish on the US as undocumented. They are illegal emigrants just as people who enter Ireland illegally are illegal. For a larger image of the letter, click here. I am shocked that DFA allows itself to be complicit in this situation. Illegal Irish residing in other countries should not get the ‘backing’ of the Irish government. Illegal is illegal. Click here for a larger image of the above letter. The person added that they sympathise with the undocumented but added “if the Irish government won’t hesitate deporting illegals in Ireland than the DFA should not be providing any assistance to undocumented Irish anywhere”. Email “'Surely to God Trump won't break up families': Letters reveal fears of undocumented Irish in the US”. Feedback on “'Surely to God Trump won't break up families': Letters reveal fears of undocumented Irish in the US”.